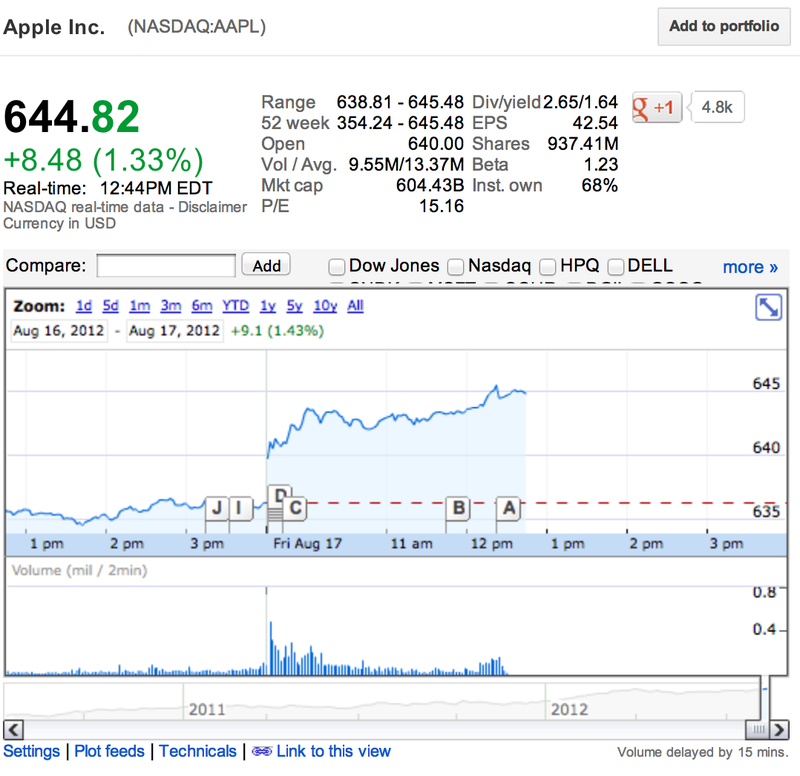 Apple passed its all-time high of 644 and its market cap is once again over $600 billion. Apple last hit both milestones on April 10. The news follows yesterday’s first dividend disbursement in 17 years that paid $2.65 per share of the company’s common stock. The stock price closed over 648. Also today, Jeffries Analyst Peter Misek reported that Apple’s HDTV production was a go with early 2013 set as a target shipping date. Investors are also looking forward to what appears to be a huge product launch in September which should include a new iPhone, an iPad Mini and other products for the holiday season.